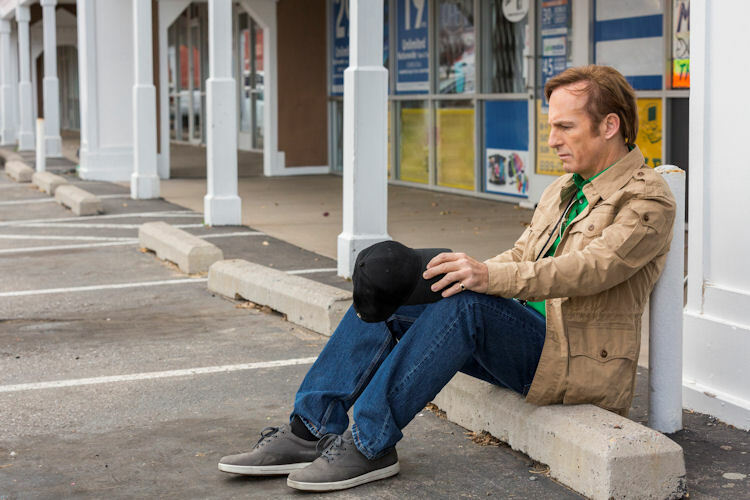 As Better Call Saul heads into the home stretch of the season, no one is in a good place. Jimmy has a mountain of debts, Kim is overworked, Chuck is coming to terms with his illness, Mike is getting in deeper with Gus, and Nacho is trying to stage a palace coup. When under deep duress, it’s human nature to retreat to behaviors that are comfortable or familiar. It’s why the concept of comfort food exists. Jimmy isn’t sentimental enough to crave his mom’s mac and cheese, so he retreats to what he does best — hustling. It’s what the persona of Saul Goodman is all about; hustling commercial TV ad time to get out from under his biggest debt. He really gets down to the core of his being when his music store customers get wise to his overpriced offer. When the chips are down, Slippin’ Jimmy makes his triumphant return with a slip and fall on a loose drumstick that solves all his problems (and he gets a sweet autographed guitar in the bargain). Kim’s response to stress is to grind even harder than ever. Cutting through the red tape of Mesa Verde’s multi expansion plans has Kim working so much, she’s losing track of days. After one of the Mesa Verde partners sends more business her way, Kim tries to beg off at first, but decides to take the burden herself following an unpleasant encounter with the sanctimonious Howard. 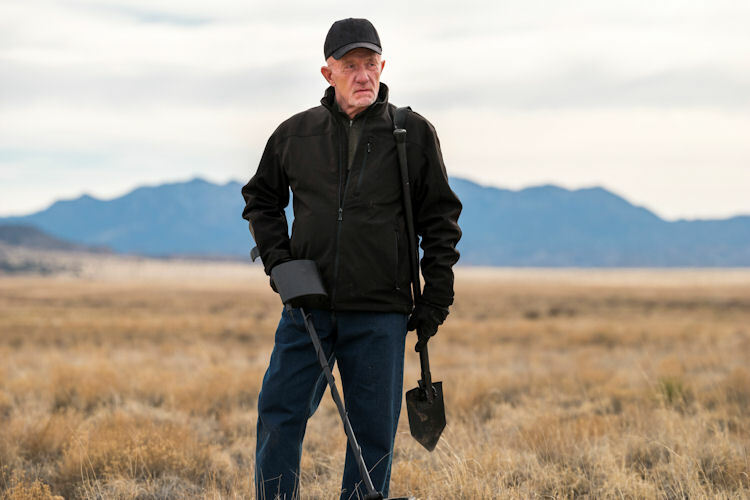 The end of the episode sees three characters who live on in Breaking Bad plant the seeds of their own eventual demise. Nacho successfully makes the switch of the pills. Mike, who has to find a way to launder all this dirty money he’s earned, strikes his deal to work for Gus. Then there’s Jimmy, who uses his hustle for the greater good and to line his own pocket with a quick $700. He uses his knowledge of the law and his verbal skills to badger his community service supervisor into letting a fellow servant (a small time drug dealer) leave the job site early, to visit his daughter who was taken to the emergency room. Sure it’s mainly a way to earn easy money and rest his aching back, but it also establishes that someone in the local drug trade knows Jimmy is a legal wizard, and that’s as key to Jimmy’s future as the name Saul Goodman. The last couple of episodes since Jimmy’s court victory over Chuck have been both disturbing and fascinating to watch, because it’s difficult to see likable characters make the choices that lead them down the path of their downfall. With just a couple of episodes to go in the season, it’s hard to see how things can end on an optimistic note.